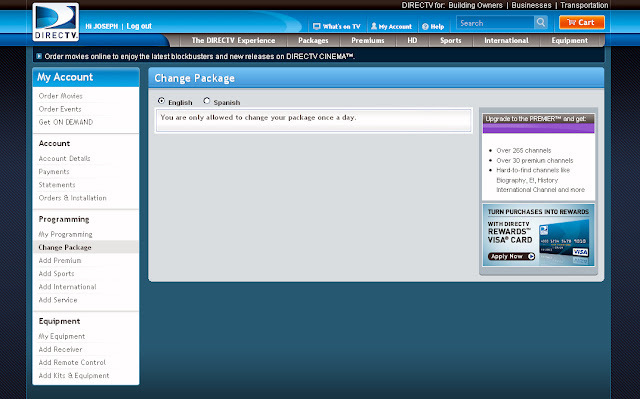 Wanting to see what programming options are available, I select the Change Package option on the DirecTV website. The website then informs me "You are only allowed to change your package once a day." I have not changed my programming today. I did change an email address and drop a receiver from my account, but I did not touch the programming package. Regardless of whether or not I had changed my programming package, I expect to be able to view options even if only one change is allowed per day.